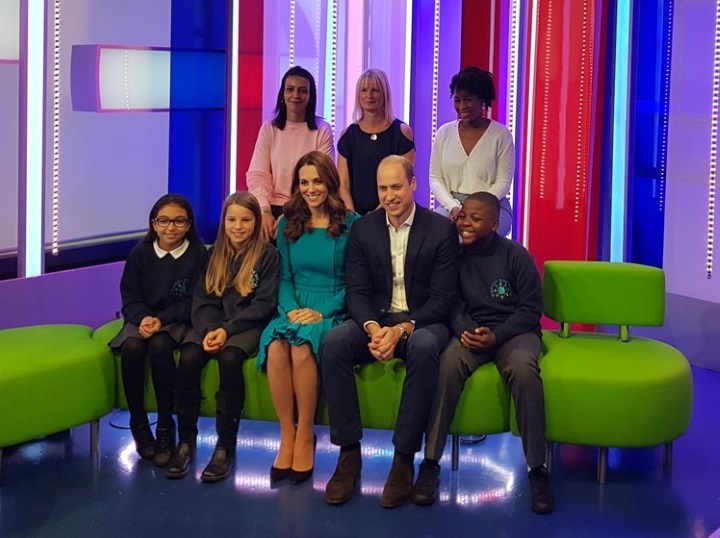 Today, Duke and Duchess of Cambridge paid a surprise visit to BBC, to view the work the broadcaster is doing as a key member of The Duke’s Taskforce on the Prevention of Cyberbullying and to mark the Anti-Bullying week on Stop Speak Support day. 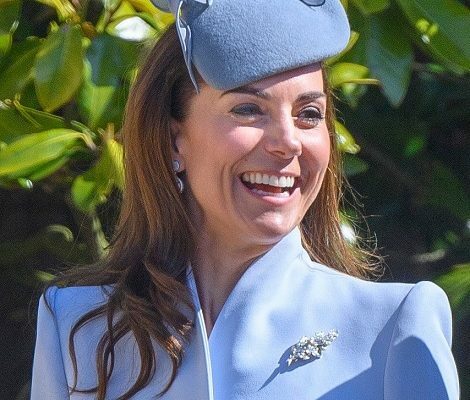 The surprised visit came after a day full of engagements in South Yorkshire and a royal birthday dinner at Buckingham Palace yesterday and today Duke and Duchess of Cambridge were again back to the job royal job. The unannounced visit marked the Heads Together’s Anti-Bullying week and Stop Speak Support day . 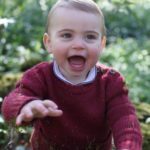 Heads Together is the joint patronage of Prince William, Catherine and Prince Harry under the umbrella of Royal Foundation. 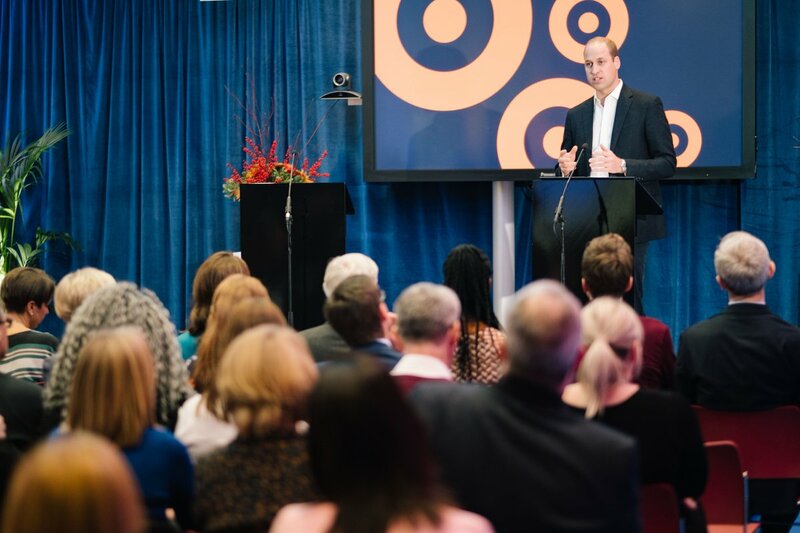 The “Stop, Speak, Support” campaign was a result of a cyberbullying Taskforce, convened by The Duke of Cambridge in April 2016 bringing the tech industry together chaired by Brent Hoberman CBE, to develop ways to tackle the issue of cyberbullying. The campaign aims to help young people spot cyberbullying and learn how they can stop it happening. Learn more about the Taskforce here. This year’s Anti-bullying theme is – Choose Respect. After consulting with 800 children, teachers and members of the Anti-Bullying Alliance, the outcome was that the bullying is a behaviour choice. Children and young people can set a positive example by opting to respect each other at school, homes, communities, and online. The aim of this week’s Anti-bullying campagin is to support schools and other settings to help children and young people, school staff, parents and professionals who work with children to understand the definition of respect, that bullying is a behaviour choice. 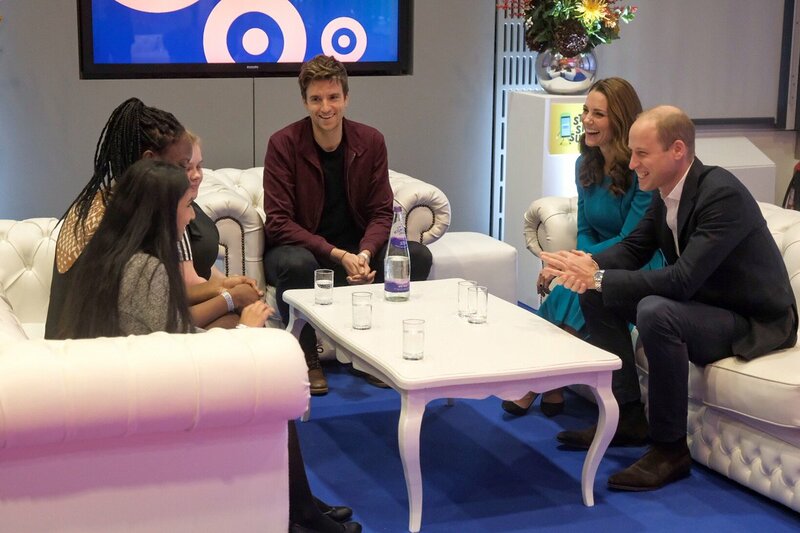 The royal couple met with young people who worked on the new campaign video for “Stop, Speak, Support”- a youth-led code of conduct to provide guidance to 11-16 year olds on what to do when they witness bullying online. William announced the new code of conduct last year. Learn more about “Stop, Speak, Support” here. 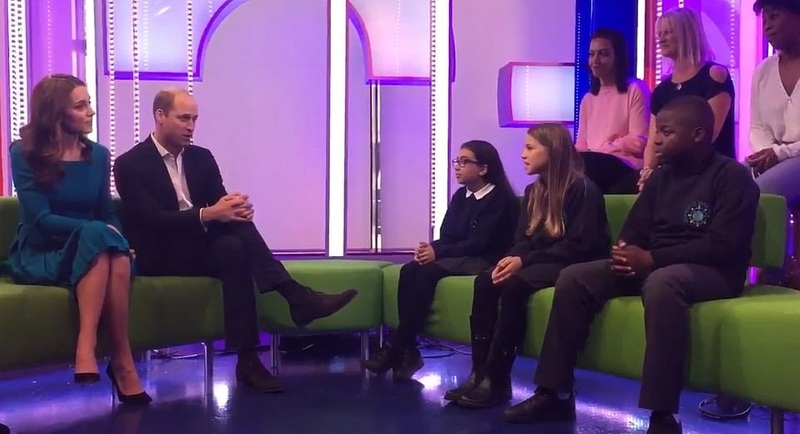 The Duke and Duchess of Cambridge met Ellie, Eliza and Cameron from Wormholt Park Primary School for a discussion on the upcoming Kids Online Wellbeing app. The Wellbeing app- a part of BBC’s commitment to supporting young people in changing media environment of present time, will provide youngsters with a tool to take their first steps online and on social media towards a healthy experience in the digital world. The app will b launched in early 2019. William and Catherine with young children at BBC. “We have to acknowledge that much of the early optimism and hope of social media is giving way to very real concern, and even fear about its impact on our lives. We have seen that the technology that can allow you to develop an online community around a shared hobby or interest can also be used to organise violence. The new ways we have to access news from across the world are also allowing misinformation and conspiracy to pollute the public sphere. The tools that we use to congratulate each other on milestones and successes can also be used to normalise speech that is filled with bile and hate. The apps we use to make new friends, can also allow bullies to follow their targets even after they have left the classroom or the playing field. When I worked as an Air Ambulance pilot or travelled around the country campaigning on mental health, I met families who had suffered the ultimate loss. For too many, social media and messaging was supercharging the age-old problem of bullying, leaving some children to take their own lives when they felt it was unescapable. I did not have the answers, but I did have the ability to invite the brightest leaders and researchers in social media to sit around the table together…and see what we might do together to make the online world safer. I convened the Cyberbullying Taskforce not because I had any expertise in technology policy – I do not and I have never pretended to. I convened the Taskforce because I was a new parent. And I saw that my friends and peers were seriously worried about the risks of the very powerful tools we were putting in our children’s hands. For too many families, phones and social media shattered the sanctity and protection of the home. “I am worried that our technology companies still have a great deal to learn about the responsibilities that come with their significant power. I am very concerned though that on every challenge they face – fake news, extremism, polarisation, hate speech, trolling, mental health, privacy, and bullying – our tech leaders seem to be on the back foot. Their self-image is so grounded in their positive power for good that they seem unable to engage in constructive discussion about the social problems they are creating. 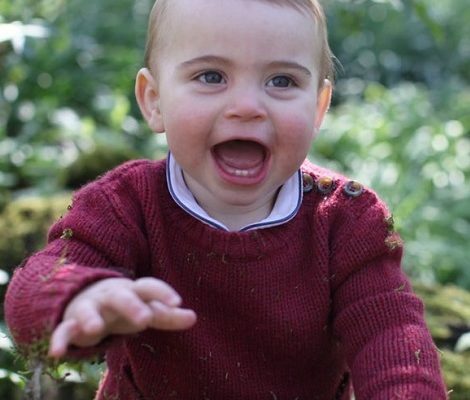 You can watch Prince William’s Full Speech here and Read here. A small video of the visit from Royal Family Channel. 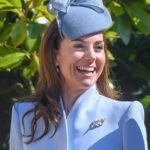 For the visit Duchess of Cambridge brought stunning Emilia Wickstead’s Alice dress back. She wore teal dress for the first time during New Zealand tour in 2014. 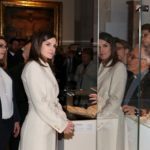 Duchess wore the dress second time in 2015 during a visit to Action on Addiction. The £1200 wool-crepe dress was from label’s Autumn Winter 2013 collection and features square neckline, front concealed closure, stylish pleated skirt and full sleeves. Catherine also owns the same dress in pink. Catherine paired the dress with Gianvito Rossi Suede pumps. 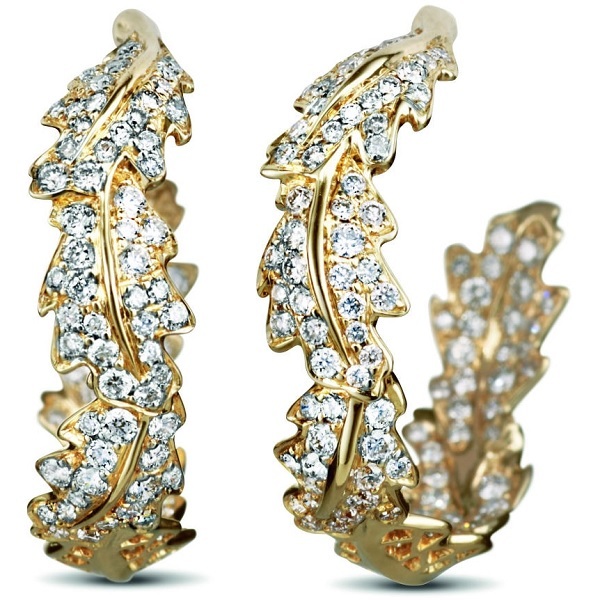 She finished her look with Asprey London Oak Leaf Small Hoop Earrings that she first wore at Wimbledon this year. 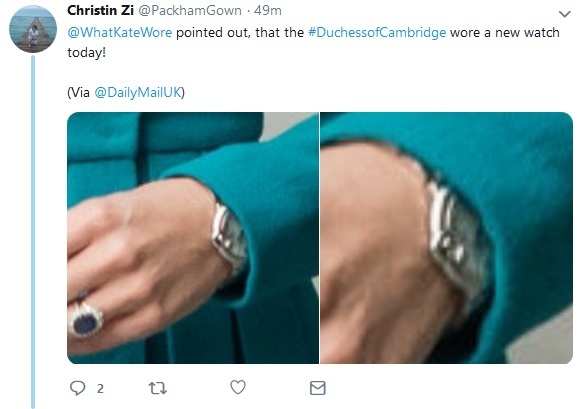 Susan from WhatKateWore noted a new Watch or possibly a new watchband as the dial of this watch, on Catherine’s wrist, pretty much similar to her Cartier Ballon Bleu watch .